Well, it was a pretty busy weekend for me anyway, although it kicked into gear a little later on Saturday than normal with the running of the second Night Masters round for the WASCC's championship season. 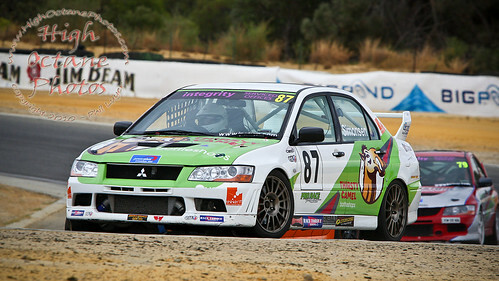 I started the day off with one of the longest walks in Western Australian motorsport, down to Kolb Corner. This entails walking around 1.5km on the narrow wall that lines the circuit, interrupted by speaker poles and fences that have started to fall over. The walk to Track 6 at the Perth Motorplex is a breeze by comparison, plus you can often get a lift to Track 6 with a passing race team. 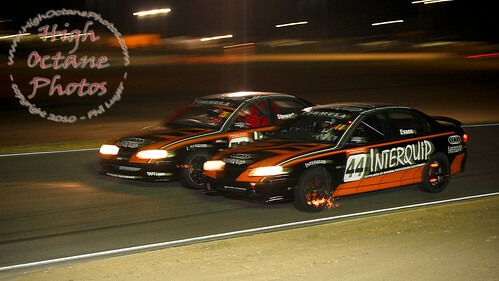 The Night Masters presents a number of challenges and opportunities for photographers, and one of those is catching the glowing brake rotors at the main braking points. This shot was taken at the entry to V8Race.com corner (formerly known as a number of things, but I still know it as Shell Corner). 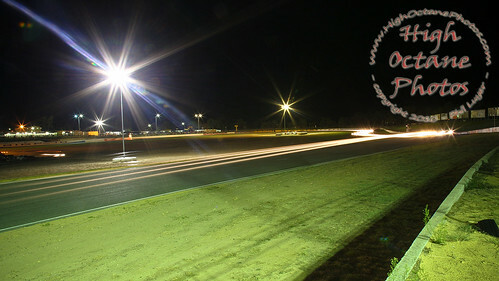 Looking from V8Race.com corner down through the Esses and showing Westrac Cat Corner, this is a 30 second exposure showing the light trails from the HQ Holdens as they round Cat Corner and climb the hill to V8Race.com corner. 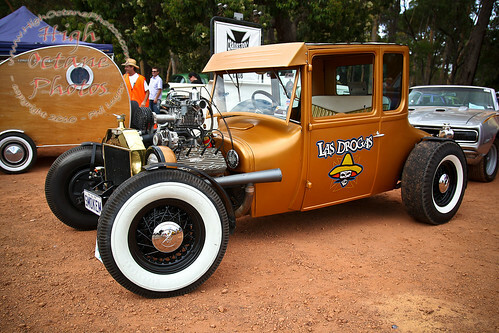 Sunday was definitely a day for those with an interest in classic iron, with two events catering to the hot rod and custom fraternity. 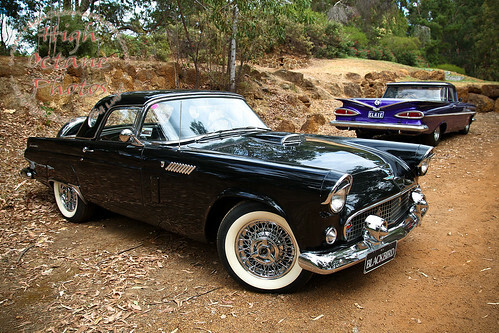 The Cranksters Rod and Custom Club's annual Pipeline Picnic was held at Mundaring, with hundreds of hot rods, customs and street machines filling the grounds of the Mundaring Hotel and the neighbouring Mundaring Community Sculpture Park. 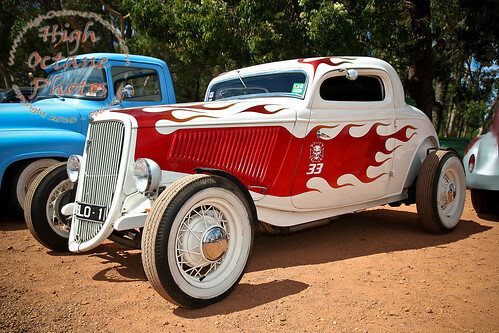 Ben Forster's 'Las Drogas', shown below, was built by members of the Cranksters, Goodfellas and a number of other Perth clubs, while the paint on the doors was laid down by signwriter and auto artist Scully, owner of the white three window coupe shown above. 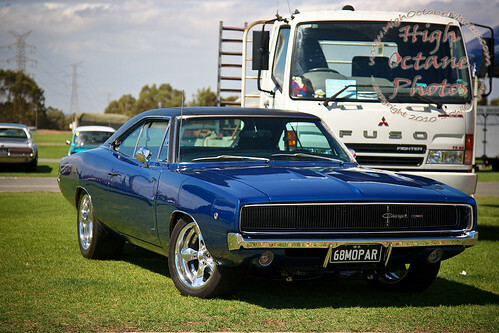 After leaving Mundaring, I headed down to the Perth Motorplex for their Retro Drags event, these are a great relaxed event where owners of nostalgia type cars can race against similar cars or park up in the pits and check out some racing. 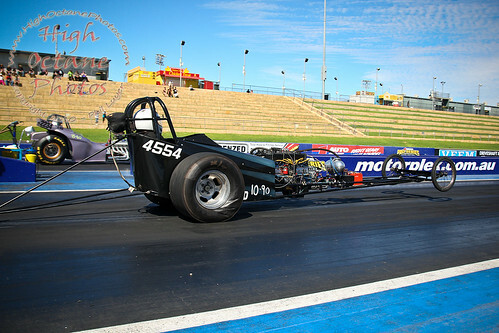 Ron Crosby has been a long time supporter of nostalgia racing in Western Australia and was racing today in his Holden 6 powered Front Engined Dragster. Unfortunately, I know nothing more about this 68 Charger than that it was sitting in the pits and I just knew I had to get a photo of it as I was walking. 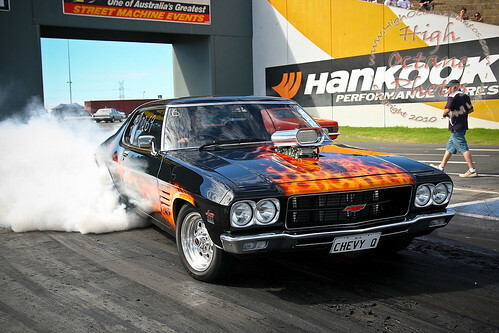 This was the final Retro Drags event for the 2009/2010 season at the Perth Motorplex, so if you want to run at the next Retro Drags event, keep an eye on the Motorplex's website for their 2010/2011 season calendar when it's released. In the meantime, Nostalgia type vehicles have their own bracket at every Fast Friday event. Over the next couple of days I'll be sorting through the rest of the photos from these three events to upload to High Octane Photos. 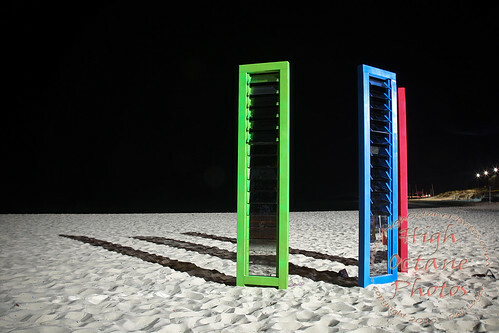 'Sculpture By The Sea' is a public art exhibition that visits Perth's Cottesloe Beach every summer. 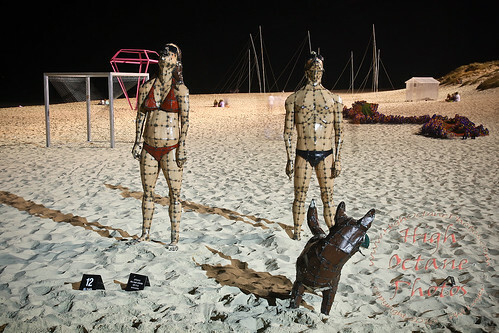 There are also 'Sculpture By The Sea' exhibits in Bondi in New South Wales, and Aarhus in Denmark. This piece was constructed entirely out of plastic bottle caps contained in an onion-bag type of mesh. 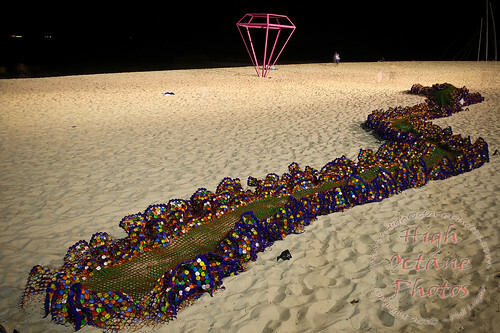 Over 60 sculptures have been installed on the beach and on the grassy banks overlooking the ocean at Cottesloe Beach, from artists not only from Australia, but from around the world. Last night, myself, my girlfriend Kate and a number of other Perth photographers and car nuts descended on Cottesloe Beach to check out this years exhibit. As we also all enjoy the challenge of night photography, we hit the beach around sunset and kept shooting until just after 10pm, before heading down to Capt'n Munchies in Fremantle for a bite to eat. 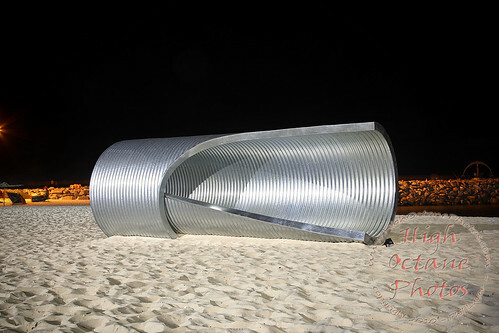 Sculpture By The Sea continues at Cottesloe Beach until the 23rd of March, and is well worth a visit.